With the addition of Kevin Durant to the crew, this team is will be in the spotlight. After winning 73 games last season, #Dubnation will be louder than ever as this new team attempts to chase history. 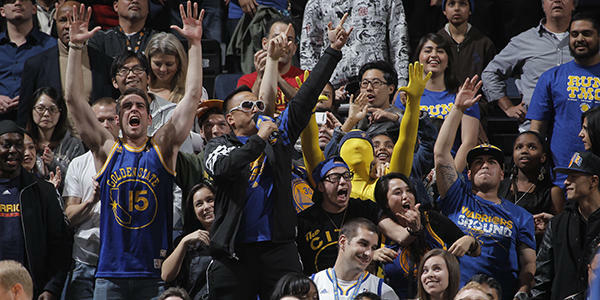 It&apos;s obvious why watching a Warriors game will be popular this year... What you might not know is what to do with the rest of your time on game day. Rise and shine, time to line your stomach for the busy day ahead. Were sending you to Rockridge, the northern Oakland neighborhood boasts one of our favorite cafes, aptly named, the Rockridge Cafe. Grab some Challah French Toast. 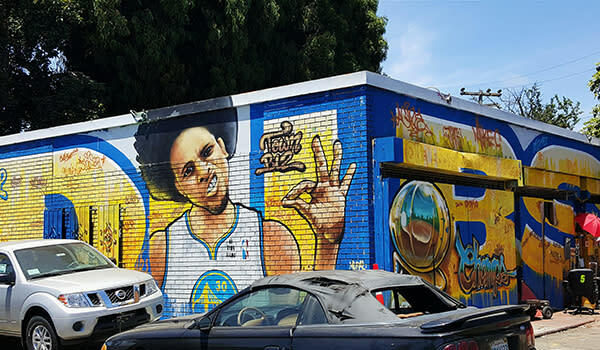 If you are an art fan, Oakland has beautiful Warriors Murals all over the city! Youve got a few hours until its time to eat again so youre going to the Oakland Museum of California. The OMCA is three museums rolled into one! It brings art, history, and natural sciences under one roof and tells the amazing story of California and its people. Their new Black Panthers Party exhibit celebrates 50 years since the movement was founded. 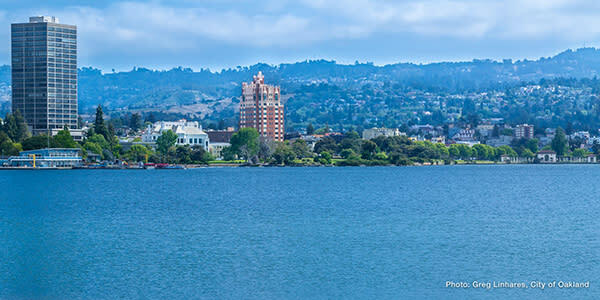 Time to see Oakland, enjoy the some sunshine and go for a stroll around Lake Merritt. The views of the hills and downtown Oakland are stunning. It will also give you a plethora of dining options. Tacos sound good right? There are multiple taco trucks in Fruitvale to check out! Looking for an outdoor patio? Go to Lake Chalet, take in the scenery and order the fish and chips. Or head to Boot & Shoe Service from Charlie Hallowell, he does pizza better than most. Time to start getting ready for the game. You&apos;ll need a few drinks, hit up the spacious beer garden at Lost & Found or enjoy a glass of wine by the bay (if you cant tell we like being outside) at Rosenblum Cellars. The only place it consistently rains in Oakland is inside Oracle Area, where you need to be now to watch the Splash Brothers and the one and only, KD! If you&apos;re taking BART we&apos;ve got a number of spots to venture to but were going to suggest you head Uptown/Downtown. Try the Greyhound and Cafe Van Kleef, do some dancing at The Layover, or sip on craft beers at Diving Dog Brewhouse. 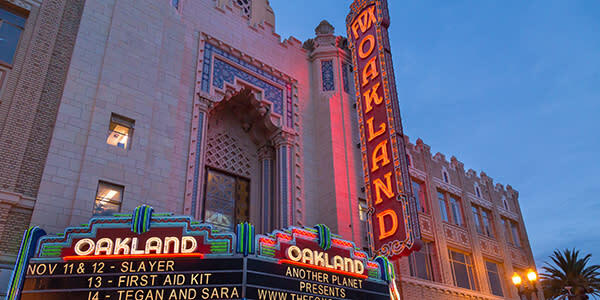 Check the calendar of events of The Fox Theater or The New Parish for daily concerts and music events. Its been a long, fun-filled day and now you need to sleep. Depending on your preferences weve got some great spots by the arena or near the water.